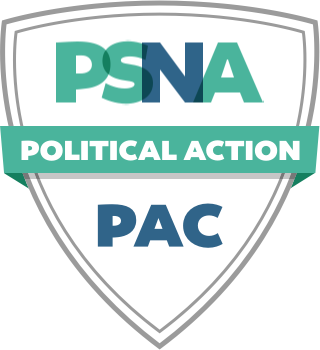 The Pennsylvania State Nurses Association Political Action Committee, PSNA-PAC, is a non-partisan organization, funded by members donations through which PSNA-PAC can contribute to pro-nursing candidates for Pennsylvania State House and State Senate. We contribute to candidates whom have demonstrated to PSNA their ability to defend and further your profession. We only use individual donations and do not use membership dues. PSNA-PAC is your voice in Harrisburg. Contributions are not deductible for federal income tax purposes. Contributions to PSNA-PAC are voluntary and used for political purposes.